Former Indian cricket team skipper Sourav Ganguly on sports biopics, Pandya-Rahul controversy, and Virat Kohli. 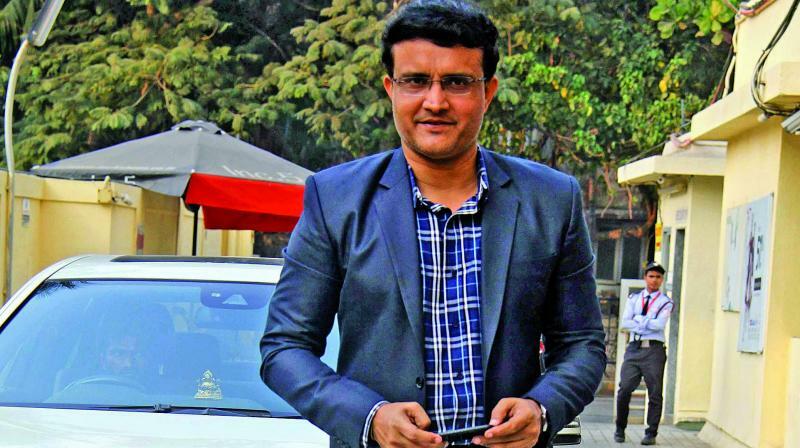 A few months ago, it was reported that Balaji Telefilms’ digital arm was planning a biopic based on Sourav Ganguly’s book A Century is Not Enough. The book, co-authored by the cricketer himself chronicles his unforgettable journey from Kolkata’s Biren Roy Road to the Indian Premier League. When asked whether his biopic is in the works, the cricketer refused to divulge the details and said, “Is it, Ekta Kapoor? Then yes, she approached me and we talked about it once. Nothing went further than that. I have never thought of a biopic [on me] though there are a host of sports biopics being made. If there is time, then someone will make one on me. Hope people would be interested in seeing the film.” The 46-year-old has however watched a couple of films made on his former teammates. “I liked the MS Dhoni biopic, [M.S. Dhoni: The Untold Story]. Tendulkar’s biopic [Sachin A Billion Dreams] was a little different. Now we have a film on the 1983 World Cup winning team. That will be huge and I will definitely watch it. As far as my biopic is concerned, we will wait and see,” he added. The former captain was in the city to launch the trailer of 22 Yards, helmed by Mitali Ghoshal whose association with the cricketer goes back to her journalism days. She had earlier made The Warrior Prince, a docu-feature on Ganguly, narrated by Amitabh Bachchan. “I remember Mitali’s first interview with me and her first question was why I wasn’t able to score a century yet again in that particular match,” he laughed, adding a word of appreciation for the cast and crew. “I have seen all of them come over to Kolkata and shoot the film so passionately. When quizzed whether the young players of this generation aren't responsible enough for own behaviour compared to the cricketers of his time, Ganguly disagreed and was quick to cite an example of Virat Kohli. “Virat Kohli is such a fantastic role model. We are fortunate that our country produces such great cricketers. When Gavaskar came, we wondered who’s going to be next and then came Tendulkar. After his innings, came Virat Kohli,” he said and added, “ A lot of cricketers come from a middle-class background and are very good human beings also. Imagine 11 players being selected to play out of those millions who may have come forward to be selected. To be picked amongst those for the National team and play for 15-16 years is absolutely special. So, if you do not score, somebody else comes in. That’s what’s life is all about, so they are very humble. I know most of them personally and I know they are great guys,” he concluded.